Ellen Goodnow wrote from Shannon, Kansas Territory, to her husband, Isaac, who was traveling in Boston. Ellen asked that he purchase winter supplies for the family and neighbors while he was on the East Coast, and listed their necessities. 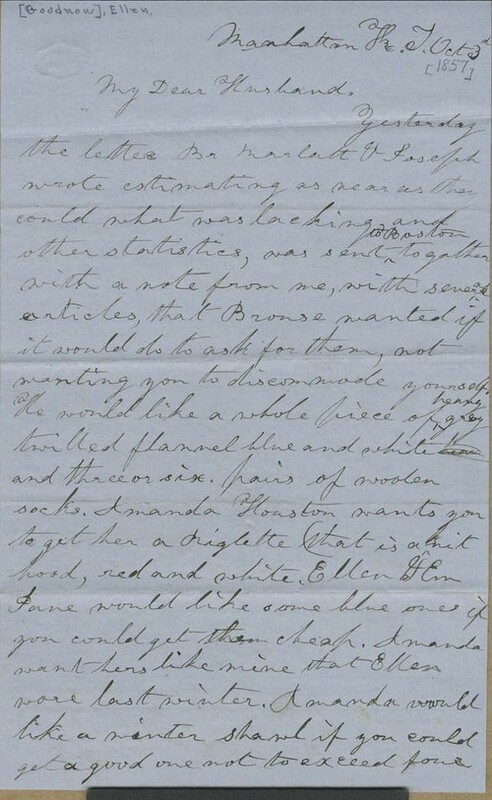 The letter includes a short note from Joseph Denison, informing Isaac that more money was needed than expected to support the college through the winter.